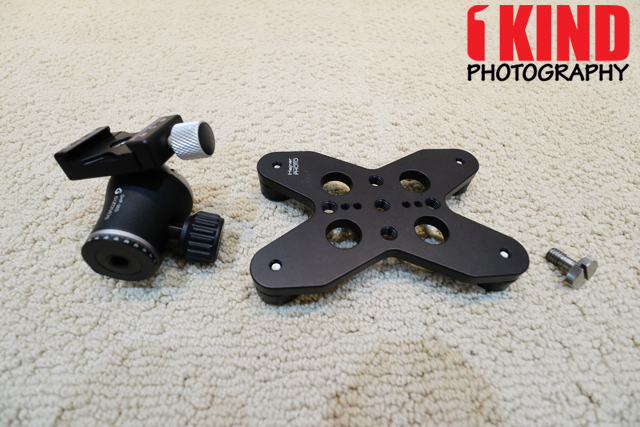 Overview : Table Pod / Low Pod Mount with Ball Head and Clamp will be helpful for macro and closeups in the field and indoors when heavy photographic gear are involved. 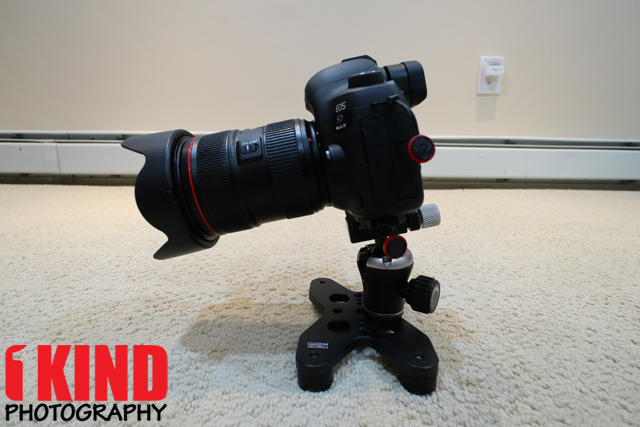 Small tabletop tripods do not offer good support for low level shooting with heavy camera and lenses. Compatible with any ball head equipped with 3/8 thread. Quality/Usability : I've reviewed a few Hejnar Photo items and I had checked to see if they had a plate for the Canon EOS M5/M6. 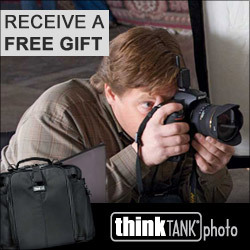 While browsing Hejnar Photo's site, I happen to stumble up on a table pod that they are offering. 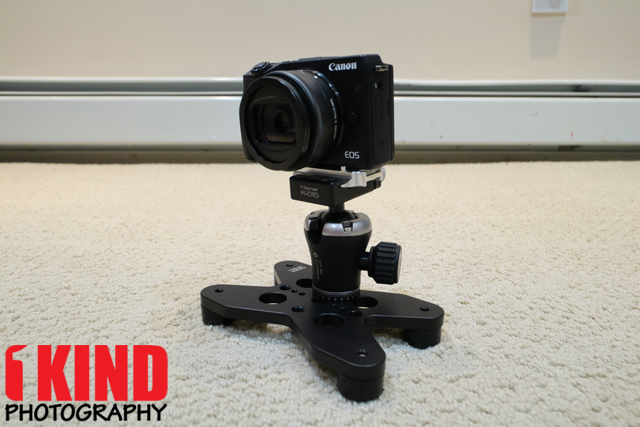 Having reviewed the Orangemonkie Foldio2 Portable Studio and Foldio360 Turntable, this table pod will be a nice addition since it has a small footprint unlike the full-sized tripod I have been using. 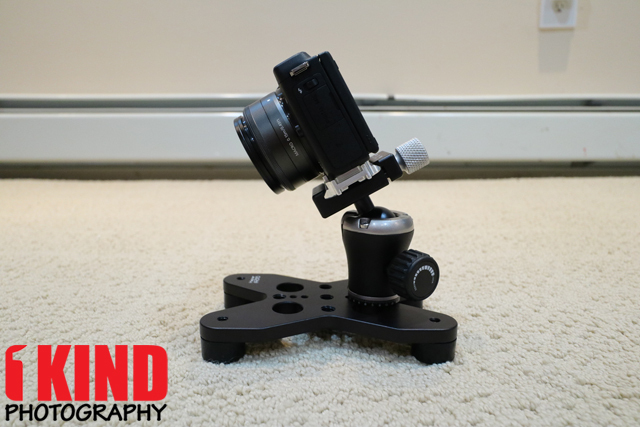 Table Pod with Hejnar Photo 3.25-inch clamp lets you mount your camera onto it but is fixed and does not move. Your camera will be pointed straight. 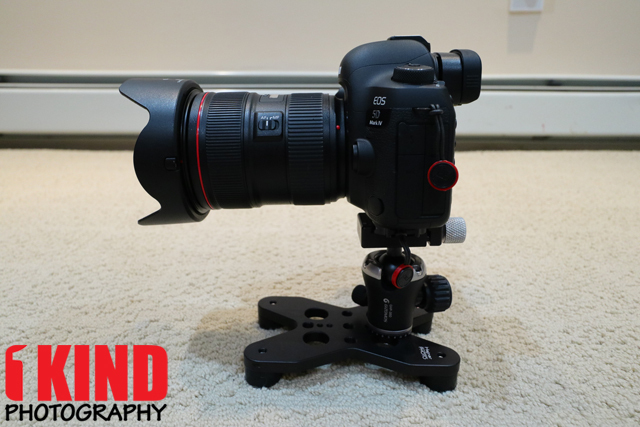 Table Pod with Gizomos GHP-30D Ball Head and Hejnar Photo 1.5-inch clamp (as shown) is your complete setup. The table pod (TP002) measures about 6-inches long x 4-inches wide. 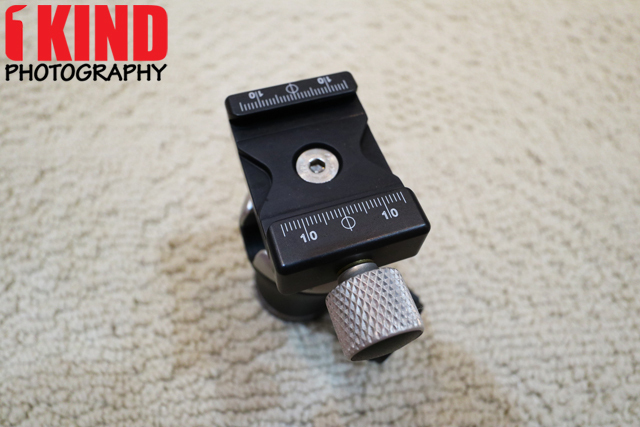 There are numerous screw holes to attach other items or position your tripod. Hejnar Photo does not make ball heads so they are using a Gizomos GHP-30D ball head. This is a Chinese off-brand. 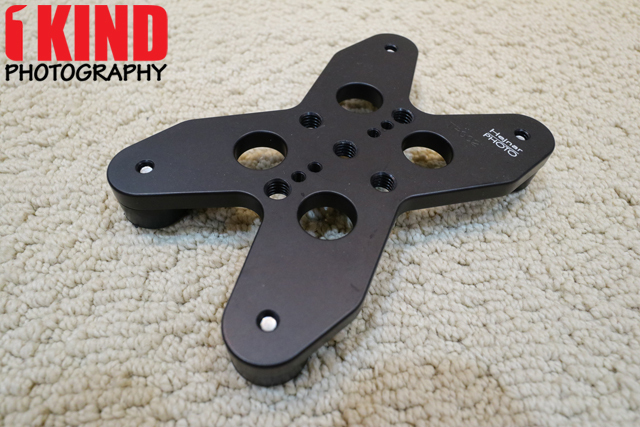 It features a 360° panoramic operation, aluminum body, CNC forged and oxidization anodized. 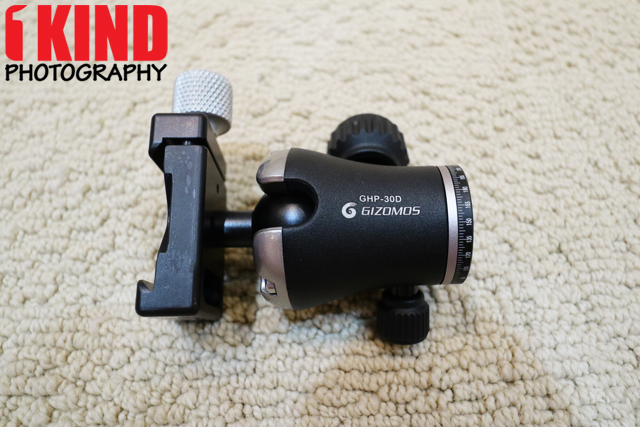 The GHP-30D originally had it's own triangular clamp that is also Arca Swiss but Hejnar Photo removed it and replaced it with their own. I'm sure if they removed it and replaced it with their clamp, I'm sure it's for good reasons. 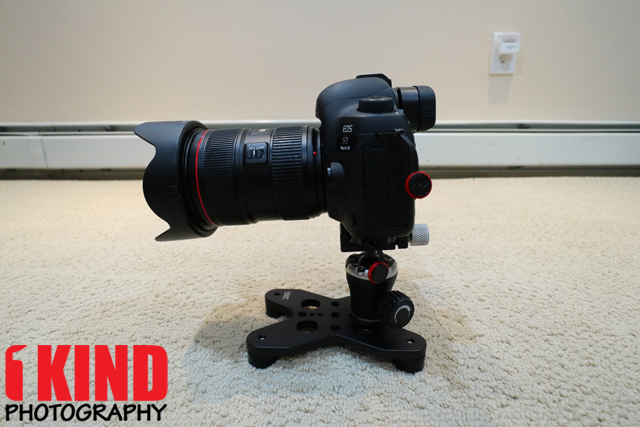 Hejnar Photo clamps are durable and well built. 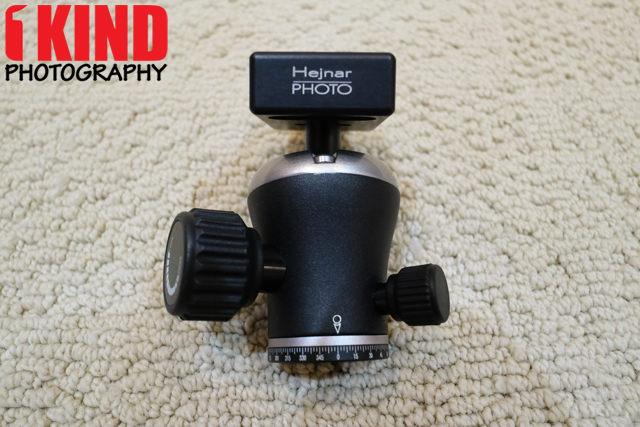 The Hejnar Photo plate also fits well with the ball head. If you have your own ball head that you want to use, you do not have to buy the setup with the ball head. You'll be saving yourself $90. For an off-brand ball head, it's pretty decent quality. The footprint of the table pod is small but not too small. 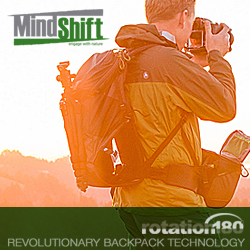 It can hold small cameras such as mirrorless to full frame DSLRs. The entire setup is also very light in weight as well. Here are some pictures of a Canon 5D Mark IV with a EF 24-70mm f2.8L II. If the ball head is positioned on the wider end as shown in the third picture, the camera can get front heavy and the camera will start to lean forward. 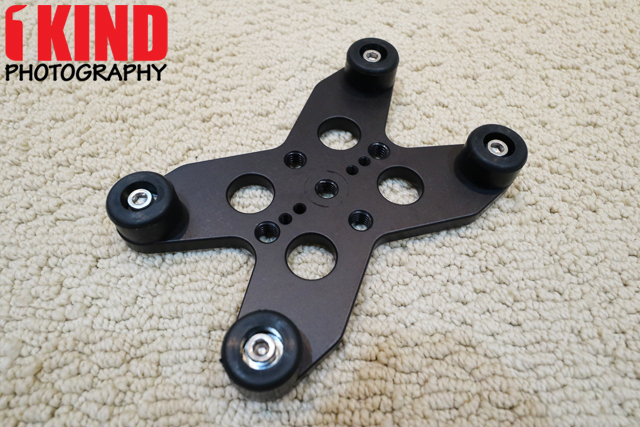 I personally prefer the ball head on the shortest width side and towards the back so that the front of the table pod will provide additional support as shown in the first and second pictures. 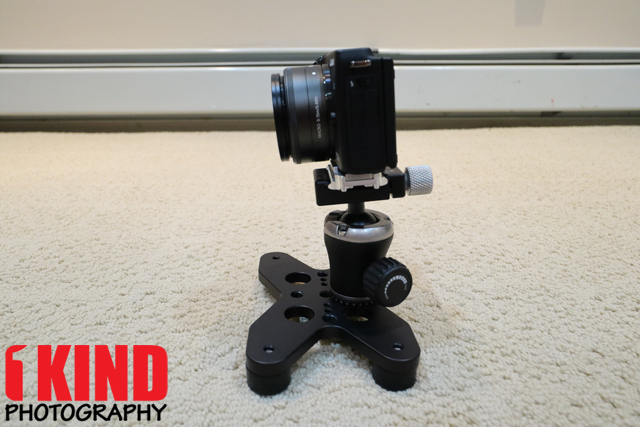 The table pod has no issues with smaller and lighter cameras. Pictured above is the Canon EOS M3 with EF-M 22mm f2.0. 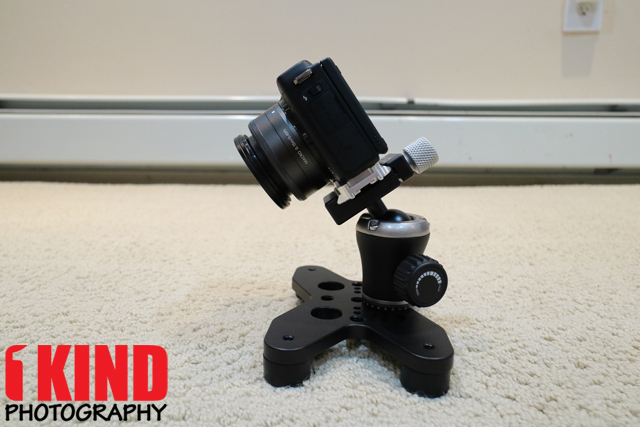 For this setup, the location of the ball head works well and doesn't cause it to be front heavy. Each camera and lens setup will differ. 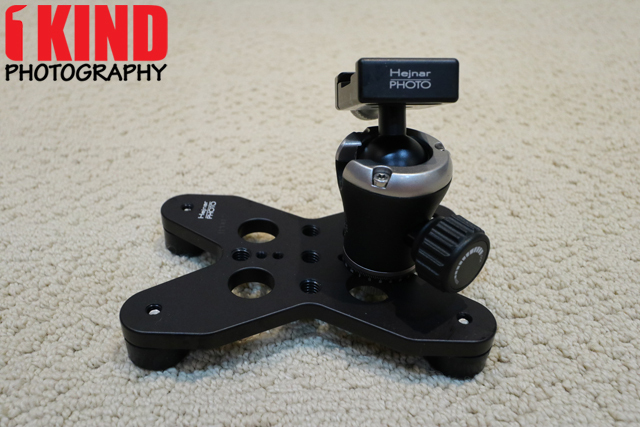 Conclusion : Overall, the Hejnar Photo Table Pod with Ball Head and Clamp is perfect if you're looking for a small tripod that doesn't take up a lot of space. It would be better if the height of the rubber feet can be adjusted. Some may not be using it on table only but may use it on different surfaces so having adjustable feet would come in handy.